I cannot believe that 2016 is coming to a close! 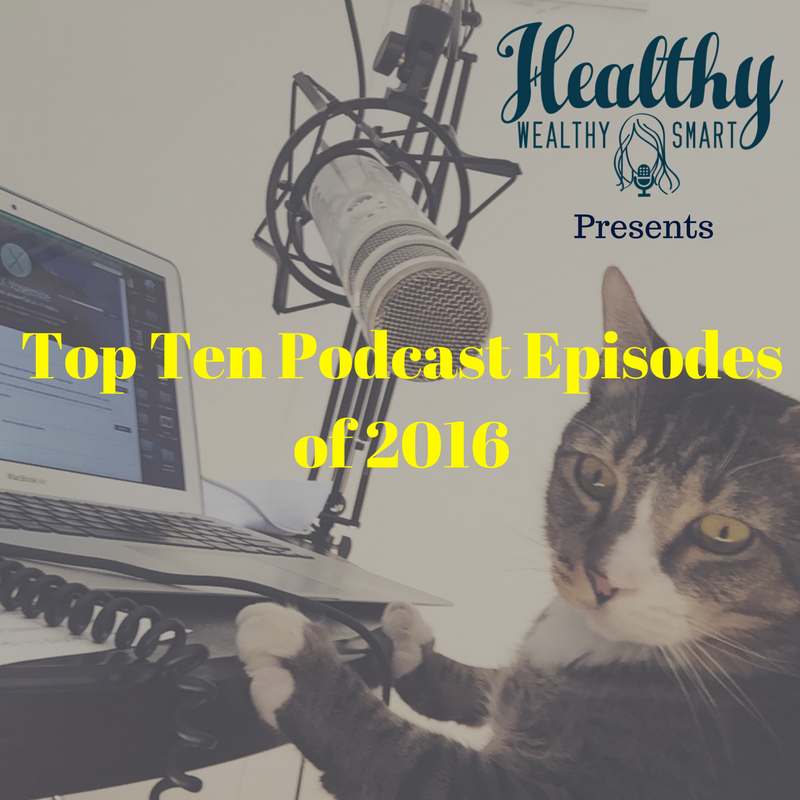 It has been a great year for the healthy Wealthy & Smart podcast. I brought on two team members: Kortne Parkman, my amazing virtual assistant and Julie Sias, SPT (from Chapman University), the best intern ever! I realized that I could not do everything I wanted to with the podcast on my own, so I decided to reach out for the help I desperately needed. The end result of this great teamwork is a more professional and informative podcast! We have worked very hard all year to bring you quality programming and I am so happy that so many of you have tuned in to listen! Thank to everyone who has subscribed to the podcast, downloaded, listened and engaged in conversations around each episode. I truly appreciate it more than you will ever know! Please enjoy the top 10 podcasts of 2016 (so far)!! I have personally learned so much from all of the guests this year and am thankful for everyone who took the time out of their schedule to be a guest on the podcast in 2016! Now that I switched to Libsyn for hosting the podcast I can better track the number of downloads in iTunes. This year, thanks to all of my guests and all of the listeners the Healthy Wealthy & Smart podcast has been downloaded over 150,000 times! Not bad for a once a week podcast! Looking forward to a fun 2017! !